Improving your listening skills will undoubtedly have an enormous impact on your ability to learn to speak a new language. Of course you can study the grammar, practice the pronunciation, work tirelessly at remembering new vocabulary but unless your listening skills are good (at the very least) your speaking skills will inevitably be constrained. This is because listening informs you about so many things that can be learned in no other way. Improving listening skills must be a top priority for anyone who wants to become really good at speaking a second language. There are some who seem to have retained really good skills. Why I say "retained" is because we all developed exceptional listening skills when we learned our first language. That is one key reason why we all master our first language. For a variety of reasons these skills can seemingly decay. Whatever the reason may be, it is important to understand that listening skills are just that, skills. They can be, like any other skill, improved. Many people may believe we are stuck with skills we have. That is why we hear things like, “ I have no ear for languages”. Well you may not now, but there is no reason why that can't be changed. It is helpful in terms of learning a language to create a distinction. It is important because the second of the two skills, whilst recognised, is seldom seen as pivotal to success. So let's have a look at the two. There are our general listening skills, such as when we listen to someone tell us about something or other. These skills operate typically at the level of meaning. General listening skills depend upon a number of factors. How relaxed and self confident you are as a person is one of them. People who display these characteristics tend not to be trying to prove anything to themselves or someone else, So they are more likely to listen to what is actually said rather than what they want to hear. Contrasted to these people there are those who are more interested in their own ideas and ensuring people understand that, rather than understanding clearly what other people are trying to say. They are generally poor listeners, as they don't separate what they hear from what they are thinking about or how they believe the world ought to be. Your general listening skills also depend on our how open you are and ready to learn from everything you come across. If your interests are wide, then everything has its inherent interest in terms of understanding the world and your place in it. This kind of attitude will typically help in the general listening skills department. Contrasted to these people are those who have narrow or particular interests and aren’t so much interested what happens outside of them or outside their range of interests. They typically tend to turn off around conversations and topics outside of their interests. General listening skills include something that is not generally talked about and that is listening to yourself. Listening to yourself is as important as listening to others. It is what enables us to monitor what we say and check it against what we mean to say. How many times have you caught yourself thinking, "That's not what I meant to say”, and then adjusting what you said. Getting clear about where we are heading is critical for success. Here we are proposing new directions. As well as these general listening skills we also have focused listening skills. These are employed when you focus on a particular aspect of what you are listening to. 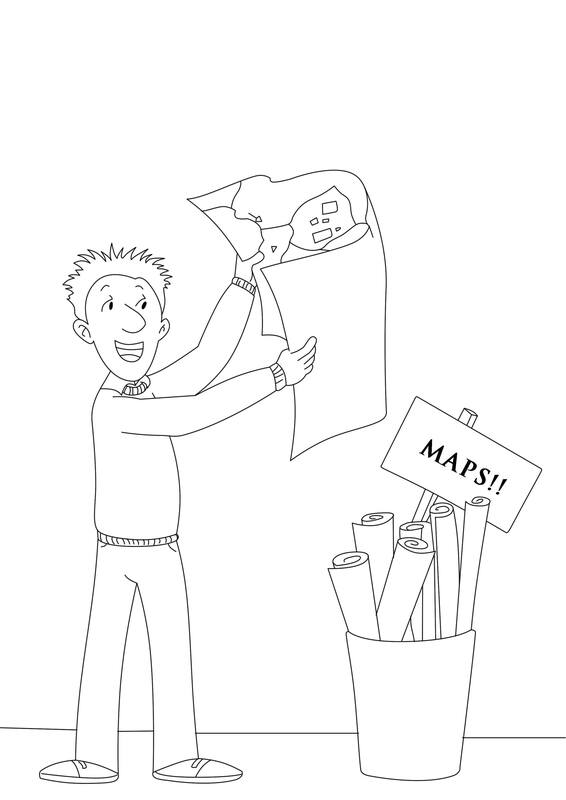 At a job interview for example we might be very carefully attuned to looking for clues as to what to talk about. Or going on a date, finding some evidence as to what the other is thinking about you. In the area of language learning, these skills are critically important. They enable us, for example, to focus and isolate a sound or some structure in the midst of what we are listening to. Focused listening skills are a particular set of skills that need to be developed in areas that we may not be used to. In formal classes or tuition, these can be clearly visible as the teacher (or text) gets you to focus on some aspect of the language. Occasional work in this areas is not enough. Well developed skills in this area are in fact are essential for success. These skills can be developed by anyone who is keen to learn so that improvement will continue to happen. So many people get stuck and are unable to progress because they have not yet mastered this skill. Clearly both the general and the focused variety of listening skills are important in learning a language. Good general listening skills are really important for getting into the meaning of what you are hearing, whilst the other is required to develop accuracy in how we express ourselves. Take a moment out and reflect on your general and focussed listening skills. Do you think you listen well? Do people tell you that you are a good listener? If you think your skills could be improved on, I encourage you to start working on them. Improving your general listening skills. not being present and having your attention wander. This can be caused by a lack of interest or just a habit that has formed whereby your ability to concentrate is limited. having such strong adherences to your ideas and beliefs that they prevent you hearing what others are really saying. So either your hearing gets turned off or you add your thoughts to what they say as they say it. That way you can never really hear what others are saying. You don’t need to take on what they say. It is all about understanding what they say from their perspective. Once you do that, then you can consider that from your own perspective. having fears and concerns about yourself, your situation and their situation that colour what you hear. An example of this would be the fear that you might say the wrong thing when you respond to what someone is saying, so your thoughts can get so consumed by that it prevents any real listening. Learn to take yourself out of the equation when you are listening and focus on what you are hearing. IF you get easily distracted, bring yourself back to what you are listening to. If you find yourself not listening, learn to refocus or interrupt what is happening within yourself (and possibly outside) The more you learn to stay present in your hearing, the better it will become. For learning languages, this is critical. You are the one who needs to identify if there is an issue here that really is preventing you listening well. Any of these issues can be turned around, if that is what you really want to do. We all started off with an exceptional listening prowess. That can be found again. Improving your listening so you hear more and clearer what the other says can and does make a large difference to your language learning ability. Let's have a look at one example of what one can do to improve these listening skills. First thing to do here is to choose something you wish to work on. Start with something as small as you can make it. A sound you have been struggling with, perhaps the articles (a / an / the) for example (many English language learners struggle with them). Set aside a little time each day, it only needs to be a few minutes at a time to begin with, as long as you are concentrated on what you are doing. So decide for short time to listen for what you have settled on. Let's take the example of the /ei/ sound, as in "make". It does not matter at this point whether it is a problem or not for you. Sit down and focus fully on what you are hearing and just listen for that. Nothing else. Block out all thoughts, don’t listen for the meaning…just listen for that sound and its sound environment. Does the /m/ or the /k/ before or after the word affect the /ei/ in some way? How many times did you hear the sound? Do you think you missed some? What did it sound like? The same every time? Did the sound change as the word it was used in changed? Did it sound like you say it? Do you suspect now that there may be a little difference? Now it is time to put your listening into yourself. Tell "me" a story about your day. Try to be as relaxed and as natural as you can. What did you do, in what order? Did you enjoy what you did? Were there any issues? Who did you meet, etc etc. While you are doing that listen to yourself and see if you can catch yourself saying that sound. Go through the same questions as above. What did you find? Which one of the two parts of the exercise did you find more difficult? I would suggest, if difficulties come, it is because you are not used to doing it. These too are listening skills that can be improved on. Improving your listening skills is all about presence and focus. You have to “be there” to be able to notice. We do that normally usually in response to situations we find ourselves in. Here we need to learn to consciously choose for ourselves what we need to focus on. When we are speaking it is all about the ability to divide our attention. Again we normally do that in our lives when we are speaking and checking ourselves to make sure that what we are saying is clear, etc . In the context of learning a language the difference is making a conscious choice to listen for something. Most people are not used to do that. We need to start off slow and over time build up these muscles through working them. Extending these exercises over longer periods of time can help you improve your listening skills as you are learning to focus your attention to get a result. Do them often enough and you will be on the way to automating these improvements. A big step forward in your learning the language of your choice. So do spend time on working on your listening. It will bring you rewards that may surprise you! 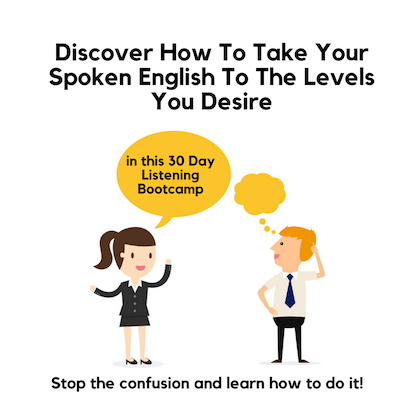 I will soon run the 30 Day Listening Bootcamp again, where you will have the opportunity to learn and practice the different ways we can improve our listening so that your language will improve. Read about it here. Alternatively, if you care to get some further insights into the importance of listening skills in helping you to improve your learning of languages I would encourage you to check out the book Language Learning Unlocked. It looks into ways you can dramatically improve your language learning. Working on your listening is just one of the ways.